Rumours are naming the forthcoming flash version of the Microsoft Zune as 'Draco' today. 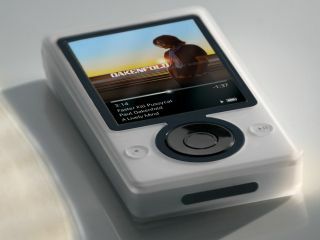 Draco is apparently the codename for a smaller, flash memory variant of Microsoft's embattled music player, reports Zune Scene . According to an unnamed "Microsoft employee", two versions of the flash Zune will be available when the Draco model is released. One will come with 4GB of RAM, another will pack 8GB-worth of storage. Just like Apple's iPhone . Rumours suggest that the new flash version of the Zune will retain the original Zune's Wi-Fi and video playback capabilities. It's expected to be on sale later this year. Zune Scene also claims that a second version of the hard drive-based Zune will also become available. This will abandon the chunky Toshiba Gigabeat-inspired design and benefit from a new, thinner chassis.